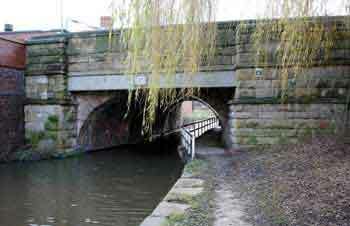 Hyde Wharf is situated on the north side of Hyde Change Bridge where the Peak Forest Canal passes below Manchester Road (formerly Hyde Lane). Over the years two brick-built warehouses and two cranes were provided on the wharf as well as a small basin at the northern end of the wharf. The first warehouse on the site was a three-storey brick building (two-storeys to the front) erected by the Peak Forest Canal Company in 1828 adjacent to Manchester Road and it provided the principal storage accommodation on the wharf. 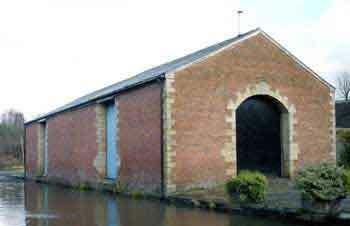 This building was constructed at 90º to the canal and it has a pitch roof with gable ends. Loading slots were provided in the gable ends to enable goods to be transhipped to and from boats and carts. The gable end facing the canal has an elliptical stone tablet above the loading slots bearing the date, 1828. Besides providing storage facilities, there would also have been an office for the Wharfinger and Clerks. 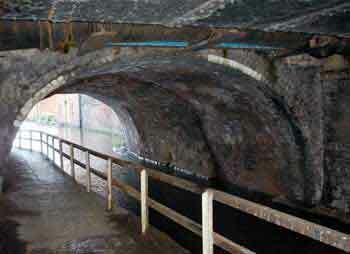 When it ceased to be used as a canal warehouse it was occupied for a while by Morley Brothers (Ironfounders) Ltd. Since then it has been fully restored to provide office accommodation. This warehouse is Grade II listed, List Entry No. 1162428, date first listed 22 Aug 1979. It is noteworthy for its group association with the adjoining single-storey warehouse and Hyde Change Bridge. The second warehouse was a single-storey brick building erected by the Manchester, Sheffield and Lincolnshire Railway Company in 1859 on the opposite side of a cobbled yard behind the three-storey warehouse. This building was built parallel to the canal and it has a pitch roof with gable ends. There is a large doorway in each gable end and there are two loading slots on the canal side, each slot being provided with an internal crane. The keystone in the archway at the northern end of the building is rusticated and the date, 1859, is intertwined in it. 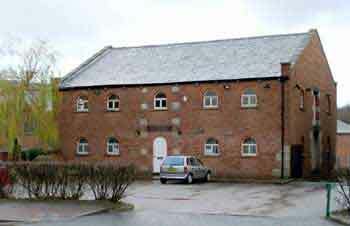 This building was also occupied by Morley Brothers (Ironfounders) Ltd. It has now been fully restored and it is used as a workshop. Three-storey warehouse, Hyde Wharf, 10 Jan 2007. One-storey warehouse, Hyde Wharf, 10 Jan 2007. A crane was erected on the wharf between the two warehouses and a cantilever jib crane was erected on the wharf to the north of the second warehouse near to the small basin. Cantilever jib crane on Hyde Wharf, 14 Feb 1976. Between Ashton Junction and Hyde Wharf the towpath is on the western side of the canal but at this roving bridge it changes to the eastern side. There were no physical reasons for this change of sides as it was done at the behest of George Hyde Clarke who was a promoter of the canal and a major shareholder. The canal was cut through his estate and he did not want the towpath to be sited on the western side where the family seat of Hyde Hall was situated. North side of Hyde Change Bridge, 10 Jan 2007. South side of Hyde Change Bridge, 10 Jan 2007. As Manchester Road was widened to accommodate more traffic it was necessary to widen this bridge and there is clear evidence of this widening process below the bridge. Hyde Change Bridge showing the widening, 10 Jan 2007. The date of the sinking of the shaft of Hyde Lane Colliery is uncertain but it is likely that it was shortly after work commenced on constructing the canal in 1794. It is even possible that it was built on the site of an earlier but shallow mine. The 1816/17 Commercial Directory of 'Merchants, Manufacturers, Tradesmen, &c' lists Messrs Wright, Brown and Clayton as being Coal Dealers with premises on Ayton (now Aytoun) Street, Manchester. These business partners were Nathaniel Wright, Thomas Brown and William Clayton and Thomas Brown was the Surveyor and Resident Engineer for the Proprietors of the Peak Forest Canal Company. It is known that Thomas Brown and William Clayton worked this mine and that Joseph Holford was the Manager and Charles Ogden was the Collector at this time. In 1841 Thomas Brown and William Clayton were recorded as the occupiers of Hyde Lane Colliery and also of Peacock Pit, situated about 520 yards due south, close to the Peak Forest Canal. Peacock Pit was named after the Peacock Mine (seam) of coal that was worked there. Peacock Pit had closed by 1888. 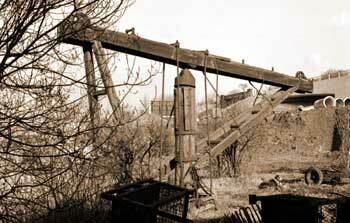 Hyde Lane Colliery was operated by the Hyde and Haughton Coal Company (sometimes known as the Hyde and Broomstair Coal Company from c.1878 until 1889. In 1889, the proprietors of this company were Joseph Watson Sidebotham (1857-1925), MP for the Hyde Division, and his brother, James Nasmyth Sidebotham (1864-1904) and it was then trading as the Hyde and Haughton Colliery Company. The Manager was Joseph Goodwin and the Underlooker was Edward Jackson. In 1892 Hyde Lane Colliery Company Ltd was incorporated (Company No. 36018). The Manager was Abraham Elce (or Else) and the Under Manager was Edward Jackson. In 1896 there were 233 underground workers and 44 surface workers. The types of coal mined were gas, household and manufacturing and the Two Feet and Black Seams were being worked. 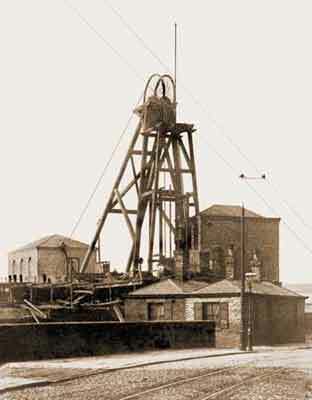 The colliery closed in c.1905 and it was finally dissolved between 1916 and 1932. National Archive Ref. BT 31/15220/36018, where 'BT' refers to records of the Board of Trade and of its successor. The parapet of Hyde Lane Change Bridge is in the foreground and the colliery office is to the right of the parapet. The office of Hyde Lane Colliery, February 1992. At some stage the double hip roof was replaced by a single gable roof. Towards the end of the 19th century, the main shaft was about 295 yards deep and the coal faces being worked were about one mile away from the shaft bottom and some 75 yards deeper. This extra depth was brought about because the coal seams sloped downwards and in some places this was by as much 28º. To get full coal tubs to the bottom of the shaft there were inclined planes ('jigs') in the tunnels. As the slope was downwards it was not possible to have self-acting inclined planes in which descending full coal tubs were used to haul up ascending empty ones, so gins (capstans) must have been placed at the top and pit ponies used to wind full tubs up the inclines. The workman who controlled a plane was known as a 'jigger' (sometimes spelt 'jagger'). Once the coal had reached the surface it could be distributed by road, canal or railway and gas coal would be taken directly to the nearby Hyde Gas Works, which was on the other side of Barnfield and Millwood Mills. 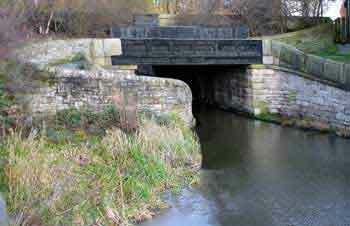 A deep wharf was provided by Hyde Change Bridge and a long chute, built at a skew angle to the canal, passed over this wharf and then over the canal and towpath to terminate on land close to Hyde Railway Station. A side chute from this went to the deep wharf where coal boats moored below were loaded. 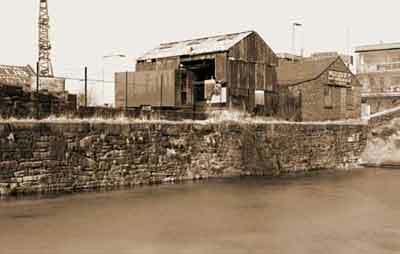 The deep coal wharf adjoining Hyde Lane Colliery, which is the site of the chute used to load coal boats, 25 February 1979. The dragline in the background is excavating the main pit shaft prior to it being sealed with reinforced concrete. The London Gazette records that the resolution to close Hyde Lane Colliery was made on the 31 January 1899. The last verifiable accident at the colliery occurred on the 17 April 1899 when William Hyde was fatally injured and died on the 18 August 1899. This implies that the colliery was closed sometime in 1899 or shortly afterwards. Nevertheless, it took until 1918 for the liquidator to dispose of the property and conclude the winding-up process. "That it has been proved to the satisfaction of this Meeting that the Company cannot by reason of its liabilities continue its business and that it is advisable to wind up the same and accordingly that the Company be wound up voluntarily." And at the same Meeting Charles Richard Wainwright of Delamere-street Ashton-under-Lyne Chartered Accountant was appointed Liquidator for the purposes of such winding up. Dated this 6th day of February, 1899. NOTICE is hereby given, that a General Meeting of the Members of the above named Company will be held at Princess-street, Manchester, on Tuesday, the 6th day of August, 1918, at eleven o'clock in the forenoon precisely, to receive the report of the Liquidator, showing how the winding-up of the Company has been conducted and its property disposed of, and to hear any explanation that may be furnished by the Liquidator. Dated this 25th day of June, 1918. At just after 9:00am on the Friday, 18 January 1889, an underground explosion occurred that caused 23 miners to be killed and another five to be seriously injured. For details of this pit disaster and the names of the men killed and injured click on the miner's check.